Alumnus Johnny Greco talks about why he transferred to Ohio State and how he succeeded with his science majors. I transferred from Columbus State Community College. My family lives nearby, and it was a perfect fit for me. What accomplishments did you make during your time at Ohio State? I excelled in my majors and I developed great relationships with my professors. At Ohio State, there are many opportunities for undergraduates to get involved with cutting-edge research. As an Ohio State undergraduate, I conducted research in both physics and astronomy. Working with astronomy professors Paul Martini and Todd Thompson, I measured the motion of stars in a nearby starburst galaxy, which allowed me to estimate the total mass of this galaxy. I published our results in the Astrophysical Journal. In addition, I was named a Goldwater Scholar in 2012 for my research conducted at Ohio State. What advice do you have for students thinking about transferring to Ohio State? Take advantage of all that Ohio State has to offer – get involved with research, join a club, use the writing center to improve your scholarship applications and enjoy midday walks across the Oval. 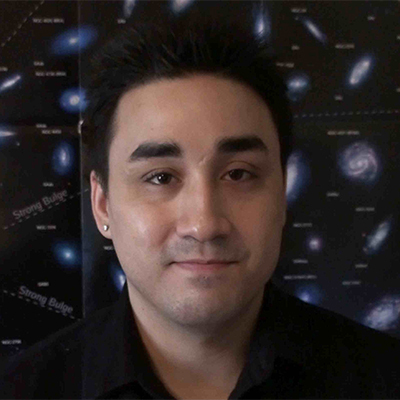 I’m currently a PhD candidate in the Department of Astrophysical Sciences at Princeton University. I hope to stay in academia and become a faculty member at a research university.